" ... skilled tuition by a talented chocolatier"
" ... orange truffles which were sublime"
" ... full of flavour, very tasty and so moorish"
" ... prompt and professional service"
" ... brilliant birthday party, the best time ever"
Chappel Chocolate House was formed in 2012 in Chappel, Colchester by Chocolatier Sarah Knights who started making chocolates after completing a professional baking and patisserie course. 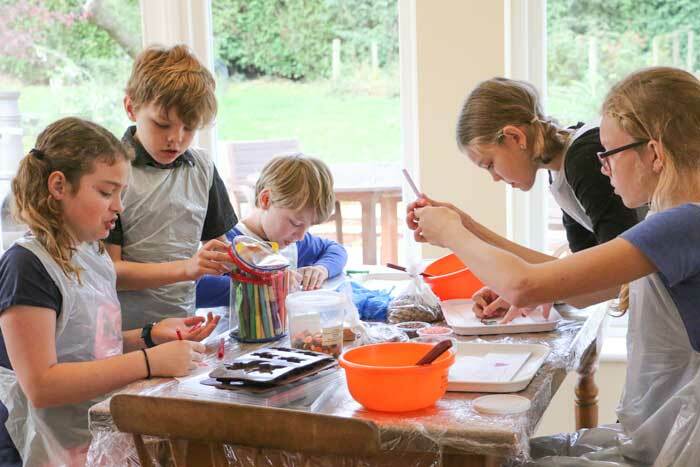 Inspired by her experience, she started making chocolates for friends and family and has expanded her knowledge and expertise by attending professional chocolate and confectionary making workshops at a leading international chocolate academy. “Such a fantastic, messy, memorable day. 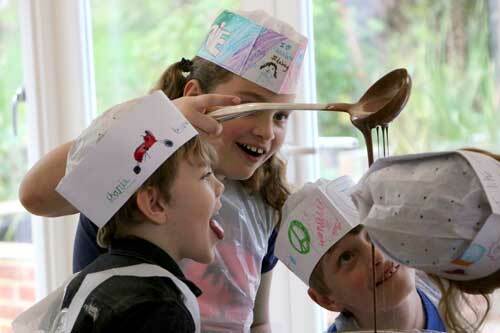 So much fun, and so much chocolate, could a girl ask for more. We are really excited to announce that we will be opening a shop and venue at Poplar Nurseries Ltd.
Have you ever wanted to make your own chocolates? Well it’s down to physics and the art of tempering. With the right tools, some expert tuition and a stash of chocolate anyone can have a go and get fantastic results. 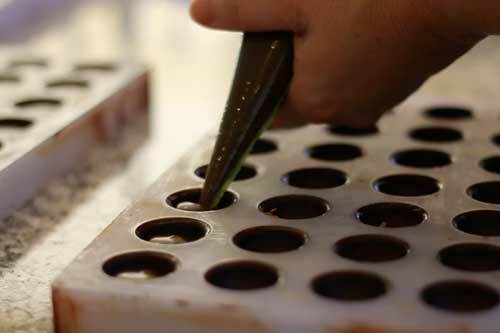 At our shop you will be able to buy our handmade Belgian chocolates as well as watch the chocolates being made. 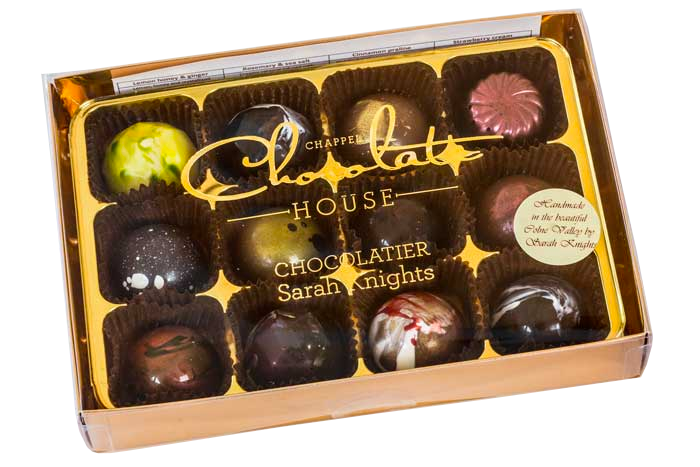 The Chappel Chocolate House runs chocolate making activities, parties, courses, workshops and demonstrations for all age groups within Essex and Suffolk, including Romford, Brentwood, Ipswich, Colchester, Witham, Halstead, Braintree, Sudbury, Bury St Edmunds, Stowmarket, Southend, Rayleigh, Leigh-on-Sea, Hadleigh, Lavenham to name but a few. Our workshops have been designed to suit all age groups but if you don’t see what you are looking for, they can be tailored to suit your needs. 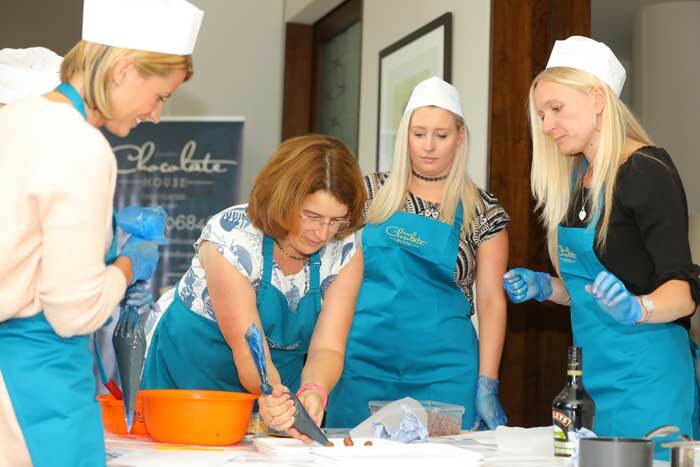 The Chappel Chocolate House can convert any room into a pop-up chocolate factory and specialises in bringing the chocolate to you and your team. You can chose to hold your team building event at one of our Poplar Nurseries venue or at one of our chosen locations, Crowne Plaza, New Hall vineyard (we partner with local business to offer packages which will match your budget and size of your team) or we can come to you. 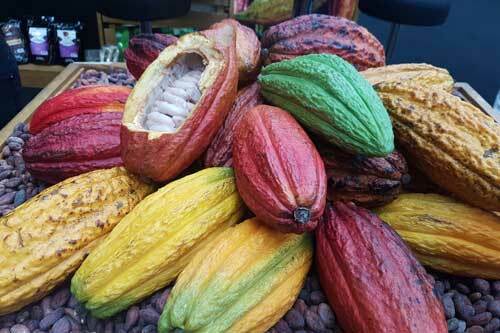 All our chocolates are made in small batches. We have a range of box sizes available. 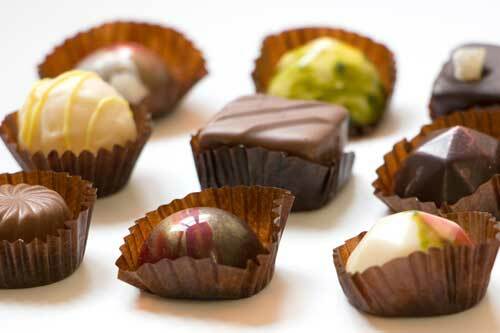 If you would like to purchase some of our delicious chocolates please contact us. 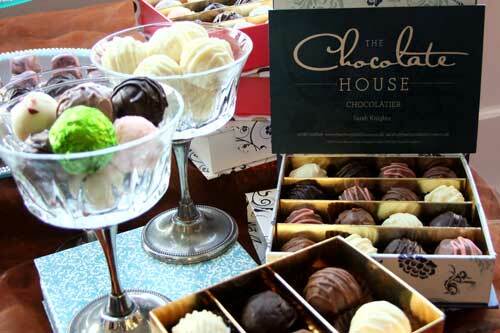 Choose from our wide selection of chocolates to make up your unique wedding favours. 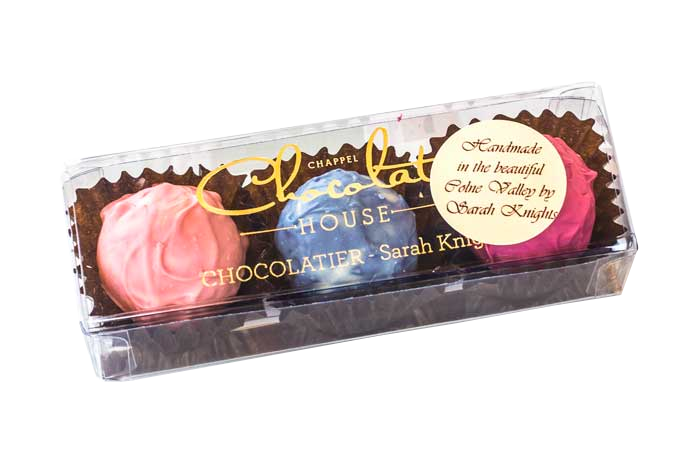 You can use our boxes or choose your own packaging. Please contact us for more details. 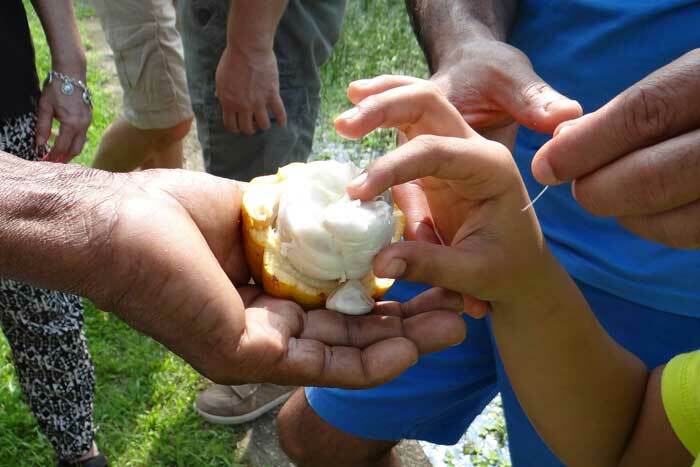 Sarah and her team will guide the children through the process of making chocolate. 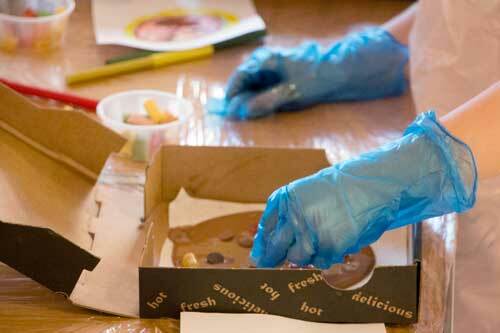 As well as being educational these workshops allow the children to ‘have a go’ at making chocolates themselves.